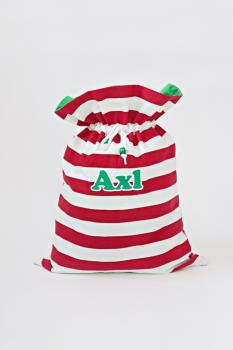 These beautifully made Santa Sacks will be filled with Christmas morning memories for many years to come. * The correct spelling of your child’s name. PLEASE note that we will use the spelling you provide us on your invoice and you are responsible for the correct spelling. * Red or green letters for the spelling of your child’s name.